A Serious Man (2009), the Coen brothers’ bleak yet comedic portrait of a 1960s suburban Jewish family, begins not in twentieth-century America but rather in a nineteenth-century shtetl. The film’s prologue, conducted entirely in Yiddish, concerns a doe-eyed husband, Velvel, and his far more circumspect wife, Dora. As Velvel returns home from his day’s labor, he is bursting with excitement: he has just run into the scholar Rebbi Traitle Groshkover! Dora, crestfallen at the news, stoically mutters, “God has cursed us.” Traitle Groshkover died three years ago, she explains. Velvel pauses and then guffaws at his wife’s preposterous suggestion. “How could he be dead if I just saw him and spoke to him!” he exclaims. Simple, she tells him, he is a dybbuk. He is a demon. Just then, there is a knock at the door: it is Reb. Groshkover. Velvel warmly ushers him into the house, whereupon Dora subjects him to an interrogation. She is determined to reveal Groshkover’s true identity. 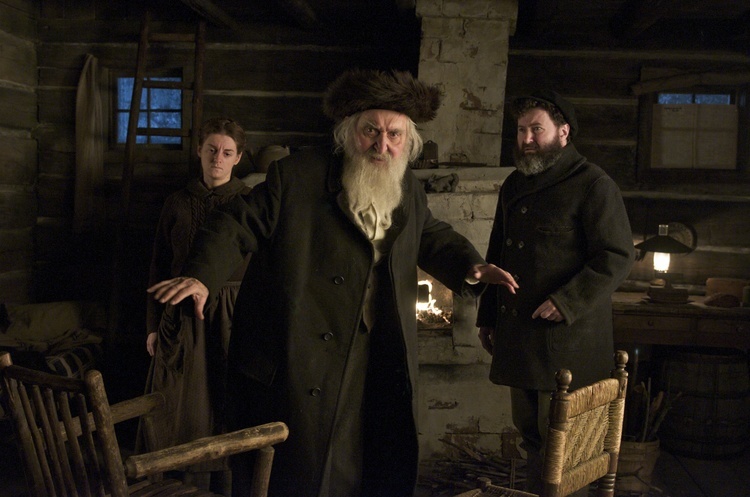 Like Velvel, Groshkover roars with laughter at the idea that he is a dybbuk. Apologizing profusely for his wife’s accusation, Velvel insists he does not believe in such things. He is, he announces, “a rational man.” Dora, however, dissatisfied with Groshkover’s opportune answers to her questions, takes matters into her own hands and stabs Groshkover in the chest with an ice pick. Groshkover, seemingly immune to Dora’s attack, lets out yet another enormous laugh. A few moments later, however, Groshkover says that he is feeling ill. We see a pool of blood slowly engulf his white shirt. Groshkover shakily gets up from his chair, heads outside, and disappears into the snowy abyss. Velvel’s joy has been replaced by despondency. Groshkover’s body will be discovered in the morning, and they will be ruined. “Nonsense, Velvel,” Dora assures him. “Blessed is the Lord…Good riddance to evil.” And so ends the prologue and begins a film set over 100 years later which will not make a single clear reference to its opening. I teach this remarkable film as part of my Hebrew Bible in Its World course—as the culmination of an extended unit on the book of Job. Job tells the story of a man who is blameless before the Lord and yet endures an unthinkable amount of pain and suffering. One day, at a meeting of heavenly beings, God brags to the Accuser (the Satan) about Job’s perfect piety. The Accuser, unimpressed at God’s boasting, replies that Job fears God only because his life is good. At the moment, he is rich and secure, “but stretch out your hand now, and touch all that he has, and he will curse you to your face. The Lord said to the Accuser, ‘Very well, all that he has is in your power.’” Because of this divine wager—and through not fault of his own—Job’s life is upended: his family is killed, his possessions destroyed or stolen, and his body tormented. While my students understand that the book is perhaps the most famous Western meditation on suffering, misfortune, and the problem of evil, they are endlessly frustrated by the text’s opacity, its amorality, and its inexplicability. How can God castigate those who seek to understand their plight? Are they not entitled to inquire about their own condition, especially when God can change it so capriciously? Are they expected to be mindless or disinterested followers of a God who torments them by proxy? Why, if God rebukes Job for demanding an explanation of his suffering, does he ultimately reward Job twofold at the end of the ordeal? And why, of course, does God allow the Accuser to torture Job in the first place? Compounding their frustration is the fact that the text itself, as it comes down to us, is both a composite work (prose and poetry sections that have been stitched together) and corrupt. It is replete with internal inconsistences; portions of the text have been moved and rearranged, while others simply repeat earlier sections. Both the form and content of the text leave my students confused, dissatisfied, and altogether perplexed. Students, understandably, want answers to questions. They want to understand the history of ideas and institutions that surround them. They want to apprehend how the past has shaped and continues to shape the present. College is a time and a place in which they have access to this sort of knowledge on an unprecedented scale. As someone who studies Judaism and Christianity in the ancient Mediterranean, I want to give my students some historical sense of this distant world while also explaining the ways in which we cannot recover it on “its own terms.” Our access to the past is always mediated, and that mediation should make room for the fact that texts can be intentionally obfuscatory, that they can elude explication, or that we simply lack the knowledge to understand them. I want to impress upon them that texts can be productively read as monuments of disconnection and inaccessibility. The reason the prologue of A Serious Man is so captivating is the same reason the book of Job remains so acute: it is not simply that they are stories of suffering, but that they are both impossible to fix. They resist closure. They not only elude interpretation, but they seem to thrive in our imaginations precisely because they are, in some measure, incoherent texts. They are not uniform and seamlessly constructed. They are messy and disjointed. My point to them, however, is not that reading texts is difficult or that watching films can be challenging, but rather that these difficulties should be embraced as functions and effects of the text. How, I ask them, might a reading of Job or A Serious Man differ if, instead of fixating on finding meaning, we focused on the lack of fixity and thought about that protean quality as an intended or unintended effect? The film, I suggest, operates not just by disorienting us, but by treating disorientation as a fundamental or enduring condition. To be confused is not necessarily a sign of failure—a failure to comprehend—but instead may well indicate or serve a strategic purpose: to unsettle us through irresolution. The film pushes students to process their confusion in a somewhat radical way: as a state that calls into question their own desire for pronounced and accessible answers. 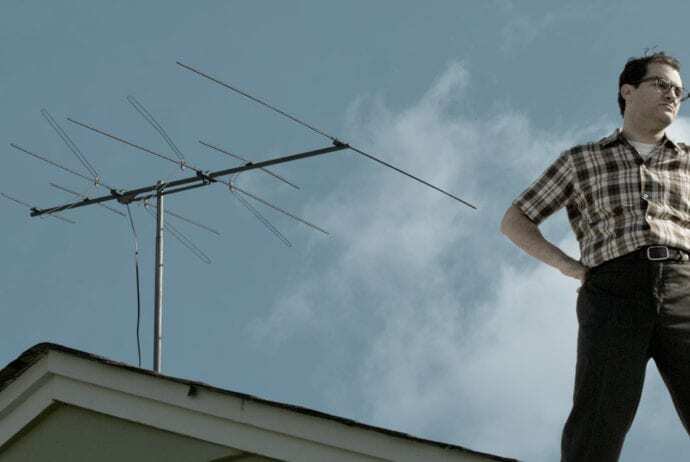 In the Production Notes to A Serious Man (2009), Ethan and Joel Coen, the film’s directors, insist that the prologue is a fabrication that is entirely unconnected to the remainder of the film. Ethan Coen explains that he and his brother “thought a self-contained story would be an appropriate introduction for this movie. Since we didn’t know any suitable Yiddish folk tales, we made one up.” Joel adds, “it doesn’t have any relationship to what follows, but it helped us get started thinking about the movie.” And while we are certainly no more beholden to the proclamations of the Coen brothers than we are to creators in any artistic medium, I think we do well to remember that sometimes incoherence can be a strategic choice. Sometimes we gain insight by realizing that not everything is designed to make perfect sense. And, in fact, texts and discourses can be crafted in such a way as to cultivate bafflement. There is, of course, a difference between something that is designed to be confusing and something that is perceived to be incoherent—and it is a distinction I fully admit may well be impossible to parse or prove. But in at least gesturing toward the idea of cultivated incoherence, I am pushing my students to consider their puzzlement over the film as a serious and engaged interpretation of it. As a result, they focus less on trying to decipher the precise meaning of the film and instead engage with it as something reactive and discomfiting. They come to see the film as actively resisting interpretive clarity or finality. And although notions of coherence and incoherence do not perfectly map into to the distinction between answers and questions, I do think they point in a similar direction. Coherence facilitates answers whereas incoherence compels questions. To think with incoherence (which is quite different from thinking incoherently) is to embrace a different type of knowledge, one that invites us to think about why we seek consistency, rationality, and regularity in the first place. It is not an open invitation to chaos, but rather an opportunity to reflect on the visceral effects and intellectual rewards of perplexity. Todd S. Berzon is an Assistant Professor of Religion at Bowdoin College, where he specializes in the study of Judaism and Christianity in antiquity. He is the author of Classifying Christians: Ethnography, Heresiology, and the Limits of Knowledge in Late Antiquity (University of California Press, 2016). He is currently a Fellow at the Frankel Institute for Advanced Judaic Studies at the University of Michigan, where is he working on a book about tongues in the ancient world.